OK, I warned everyone back in January that something like this would be happening. It’s finally here. I’m taking a break. The blog will be on break for March and probably most of April. If I can get some ready to go, I may try to come back mid-April, but I am leaning towards the first Monday of May for the return to the weekly reviews. Part of the reason for the break is health related. At the time this goes up, I will have had knee replacement surgery last Wednesday. That makes for a lot of good quality reading time, but not necessarily a lot of good quality sitting at the computer time. I am hoping to get ahead with a few books during my recovery period. One thing that I know will be in my to-read pile is a special project I have coming up later this year: ESSENTIAL ROM! Yes, you read that right, ESSENTIAL ROM! My good friend Tim Benson with Omaha Bound has put together a collection of the ROM books designed to look like a set of Essential volumes. (And no, these are not for sale!) He broke it up over six books, going with smaller runs for each edition. 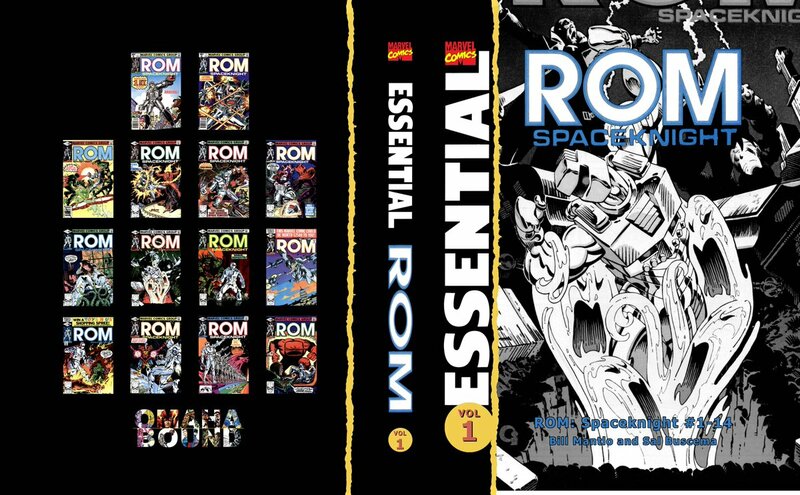 Later this spring, Tim and I will be recording a series of podcasts (which I will make available on this site) as we review ROM from the very beginning. Stay tuned for more details! OK, so that’s all for now. Let me know what you are reading right now! Always curious to find out what is in your to-read pile! Talk to everyone soon!